EGaming, the Humble Book Bundle: Get the Vote Out! supporting the ACLU is LIVE! The Humble Book Bundle: Get the Vote Out! supporting the ACLU just launched on Monday, October 22 at 11 a.m. Pacific time! Join Chronicle Books, Image Comics, Lonely Planet, Cory Doctorow, and other great publishers and creators in support of a more perfect union! 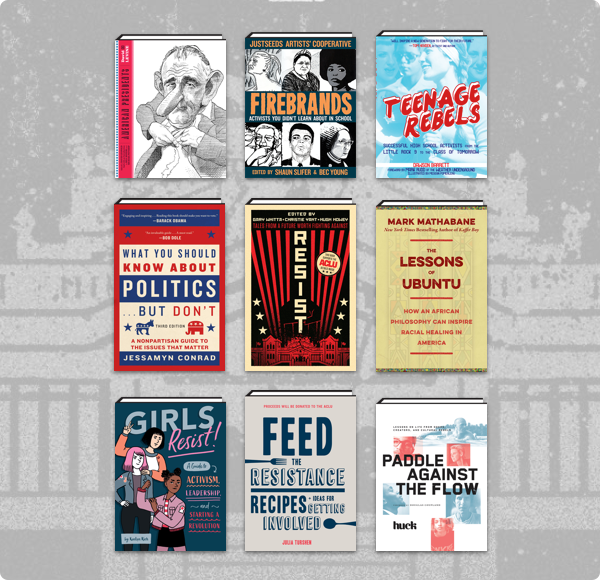 Get a bundle of ebooks on volunteerism and positive resistance, a zombie survival guide, tons of comics – plus the exclusive debut of science fiction anthology RESIST! Every cent of your purchase will support the ACLU in their fight for voting rights, free speech, LGBTQ rights, and more. Irresistible? We think so. Previous Post Previous post:EGaming, the Very Positive Sale is LIVE in the Humble Store!